Social workers in Aitkin County had a problem: They needed someone to make decisions for three mentally impaired people who could no longer manage their own affairs. So in 2003, the county made a public appeal in the local newspaper. Paul and Frances Peterson, who had no experience as guardians or conservators, offered their services. What followed was a failure of the state’s guardianship system that the county is still untangling seven years later. Altogether, Aitkin County asked the Petersons to manage the affairs of five individuals, including three men with six-figure bank balances. After one of their wards died, the Petersons continued to write checks on his account, violating a court order and state law. The county had to give another wealthy ward $100 for food because the Petersons did not give him any of his money. A district judge, who found numerous accounting problems, terminated their oversight in 2008 and subsequently ordered the Petersons to give back half of the $80,500 they paid themselves over five years. But the judge’s order is on hold because an appeals court said there were no clear guidelines on how much the Petersons could charge for their work. To family members and advocates, the inability of the courts to hold the Petersons accountable shows how the state needs new tools to crack down on poorly performing guardians and conservators, who are unlicensed and virtually unregulated in Minnesota. Opheim said there’s no limit on how many wards a guardian can oversee. Some guardians have as many as 40 people under their control, she said. On June 17, six days after his interview with the Star Tribune, Hohenauer died of cancer. He was still waiting for his money. Seems like a lot of negative press lately for guardians and conservators. This recent Star Tribune article on guardians in Aitkin county is the latest. One of the guardianships referred to in the article was recently addressed in a published Court of Appeals of Minnesota opinion, In the Matter of the Guardianship and Conservatorship of Harold F. Doyle. In Doyle, the Court of Appeals examined the issues of: 1) whether a district court can sua sponte (on its own initiative) examine and disallow fees and expenses of guardians/conservators in an annual account (the Court held that it could); 2) whether the court can rely on documents that are not part of the record (the Court held that the district court could rely on the County’s Service Fee Policy in deciding the appropriateness of a guardian’s fees, since that policy was referred to in the guardianship statute. However the Court held that the district court erred in relying on MAGIC Standards of Practice in it’s decision, when those Standards had not been introduced by a party as evidence or authority, and the parties did not have an opportunity to review and/or comment on the Standards); 3) whether the district court properly rejected accounts and disallowed certain fees and expenses (the Court remanded, but gave guidance on what the district court should consider). 1) Determine whether there are Service Fee Policies or similar policies governing payment of guardians in the county in which you were appointed. 2) Review and be familiar with the MAGIC Standards of Practice. While they aren’t guidelines that courts can take judicial notice of, they are instructive and are put out by a reputable non-profit organization that addresses guardianships and conservatorships in Minnesota. 3) Always bear in mind that your fees and expenses need to have been rendered for necessary services or necessary expenses for the benefit of the ward. 4) Always keep detailed, meticulous and organized records of your fees and expenses. 5) Save receipts for every expense. 6) Keep detailed time records. Not “worked on ward’s case”, but instead “Made telephone calls to social security to straighten out mix up with monthly social security check.” Etc. 7) Your hourly fee should be in line with what other guardians with your experience are charging for similar cases. Remember, in the end, it boils down to this: You are a fiduciary for the ward/protected person. It is the ward’s money, not yours. At the end of the day you should feel comfortable explaining to the Court why you charged for every penny that you did, and you should have the documentation to support it. Nashville songwriter Danny Tate lost his case and his temper Friday. After shouting and arguing with a judge, Tate was escorted out of the courthouse by a court officer. 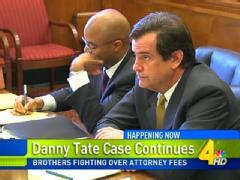 [Tate’s] lawyer said Danny’s brother, David, exaggerated the severity of Danny’s cocaine habit and lied in court so he could be named his brother’s guardian. “The evidence is clear that these allegations were knowingly false,” Danny Tate’s attorney, Michael Hoskins, told the court. Kennedy had given David Tate control over Danny’s bank accounts, after David claimed Danny was spending $400 a day on cocaine. The judge ruled the dollar amount of the habit wasn’t that important; he said David Tate was just trying to save his brother’s life. He ruled against Danny Tate, and that’s when the shouting started. After raising his voice at the judge, Tate was told to leave the courtroom. He said later he felt frustrated the judge wasn’t listening to him. Tate said his bank account has dwindled from $700,000 to nearly nothing after his brother spent money on legal fees and experts. He said he’s living in a horse trailer behind his house in Belle Meade. It was flooded in the May storms. Earlier this year, Tate won his effort to have the guardianship dissolved. Now his attorney is in court trying to get some of his client’s money back. The number of formal complaints filed with the state Office of Attorney Ethics increased by 23 percent in 2009, with 233 complains compared to 189 in 2008, according to the office’s annual report made public. As a result, by the time the year was over, 29 of New Jersey’s 86,807 attorneys were disbarred for unethical practices, 15 of them by consent. Another 29 lawyers were suspended, 23 were censured, 26 received reprimands, 40 received admonitions, 25 had their licenses suspended and 2 received license suspensions. The report shows an 11 percent decrease in the number of attorneys disciplined by the state Supreme Court. The figure was 148 in 2009 compared to 167 in 2008. The 233 formal complaints stemmed from 1,476 grievances filed with the OAE in 2009, a nearly 6 percent increase over the 1,394 grievances filed in 2008. The fee arbitration program resolved 1,130 fee matters involving $14.5 million in legal fees. 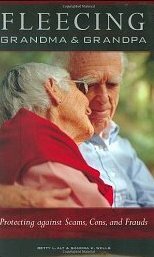 Scams and cons can target anyone, but the elderly are particularly vulnerable; Alt and Wells review the various frauds, provide advice for avoiding the traps, and offer guidance for what to do if you or a loved one falls victim. Curtis Ballard rides a motorized wheelchair around his prison ward, which happens to be the new assisted living unit — a place of many windows and no visible steel bars — at Washington’s Coyote Ridge Corrections Center. That burden is becoming greater as the American Civil Liberties Union estimates that elderly prisoners â€” the fastest growing segment of the prison population, largely because of tough sentencing laws are three times more expensive to incarcerate than younger inmates. Although the full effect of reforms to the Probate Court system will not be felt until next year, when the 117 courts will be cut to 54, they already are helping to right its financial troubles. The archaic, fee-based system was so inefficient that it had lost money for years, requiring a state subsidy to keep it running. At one point, it had been expected to run out of money last year and to have run up a further deficit of $5 million this year. Instead, the system’s deficit for this fiscal year is projected to be $820,000 and the Office of Probate Court Administrator is expected to spend $703,000 less than its approved budget. For the following fiscal year, which starts in July 2011, savings of $2.8 million are expected. The savings are the result of the 2009 reform law that cut the number of courts, centralized its finances, set judge’s salaries and requires judges to be lawyers and courts to be open 40 hours a week. The courts have operated independently, setting their own hours and pay based on fees they collected. They will remain the only courts whose judges are elected. About half the savings in the probate administrator’s office has come from staff cuts, salary freezes and unpaid days off. The rest, according to the office, have come from better use of technology and lower operating costs. The biggest savings will come after January, when the court consolidation takes place. 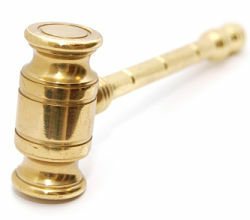 Cutting the number of judges by more than half is expected to save $2.3 million in salaries and benefits. Consolidation of the courts’ finances — accounting, payroll, audits — will save more than $400,000. Federal authorities say a former North Carolina financial adviser has been sentenced to three years in prison for taking millions from an elderly woman with Alzheimer’s disease. U.S. Attorney George Holding announced Wednesday that 66-year-old Harold Blondeau of Raleigh was also ordered to pay nearly $425,700 in restitution to the Internal Revenue Service, the victim, her trusts, and the charity founded with her money. Blondeau pleaded guilty last year to investment adviser fraud and tax fraud, for not reporting or paying taxes on the illegal income. He admitted taking nearly $3 million from a then-83-year-old Raleigh woman. A Padanaram man is in the custody of federal marshals on charges that he bilked an elderly widower of his entire estate and tried to conceal the transactions. 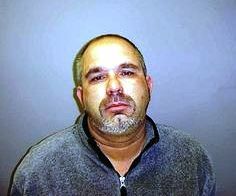 Richard C. Souza, 45,was arrested at his home after an investigation by the Criminal Investigation Division of the IRS. He is accused of befriending a local man who had hired him to do work on his roof, then systematically bilking the man (identified in court papers only as “Larry”) of everything he owned and then some. The complaint alleges that from 2003 to 2008, Souza — who had only $20,000 in reported income for the entire period — was soliciting odd jobs doing home repairs. One of his customers was an 84-year-old local man whom Souza befriended. “In or about 2005, Souza proposed that he and Larry go into business together,” according to the complaint, written by investigator Timothy Saunders. “According to financial records that I have reviewed, when Larry first met Souza in 2004, Larry’s net worth was approximately $750,000. His assets consisted of the equity in his house, funds in his investment and bank accounts, and his automobile. 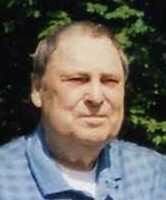 “By 2008, Larry no longer owned his home, his investment and bank accounts had balances of approximately $1,452.58, and he had no automobile. 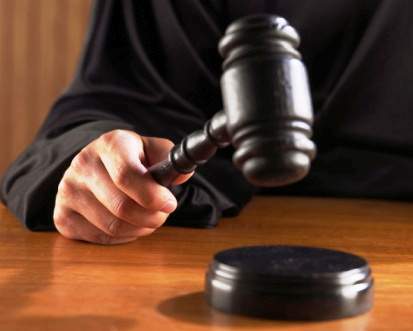 His liabilities, however, had grown to approximately $144,638.77, which was comprised of approximately $52,643.06 in credit card debt and a mortgage of approximately $91,995.71. “His total net worth was approximately $143,186,” the complaint said. The government has asked the court to seize Souza’s property, which includes the house on Seaward Lane; a piece of land in Medway, Maine; two Mercedes Benz automobiles; and a commercial building at 368 Elm St. in Padanaram where Souza once had a real estate office and where his son operated a business dealing in exotic cars.